Crawford Technologies announced it has been awarded a ‘2015 Gold Key Award’ from the Colorado Chapter of the Business Marketing Association (BMA) for the redesign of Crawford Technologies’ website in 2014. "Envisioned and executed by our Marketing Communications Manager, Jonathan Malone-McGrew, the project was built from the ground up in collaboration with our website and SEO partners at Joe Sonne Marketing and Big Footprint Digital. The result was the ability to launch a responsive platform that will scale with our growth and allow us to communicate more effectively with our customers, partners and the industry well into the future." "With an emphasis on quality and results, the BMA Gold Key Awards are highly coveted by Colorado marketers." 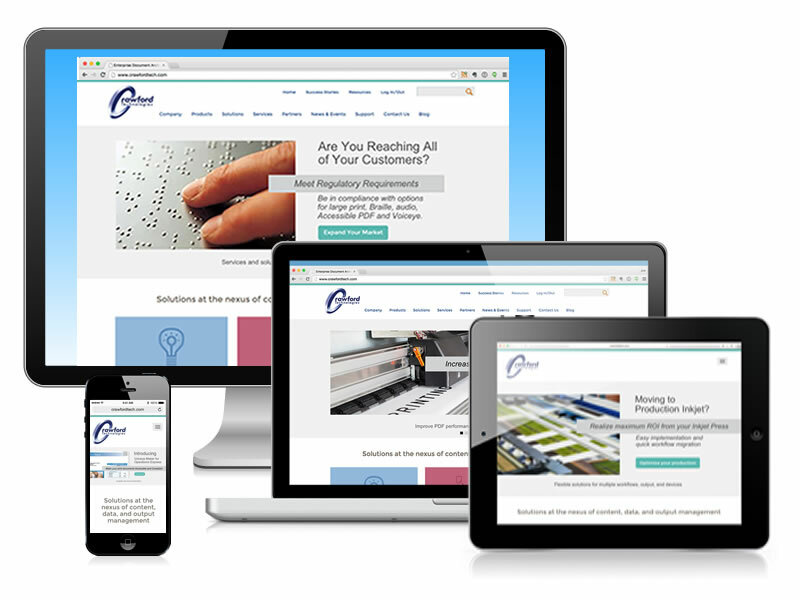 In the fourth quarter of 2014, Crawford Technologies new website generated a 38% increase in page views, 14% increase in organic search traffic, 21% increase in average pages per session, 7% increase in time on site, 7% decrease in bounces, 389% increase in social referrals and a 399% mobile and tablet traffic increase year over year.